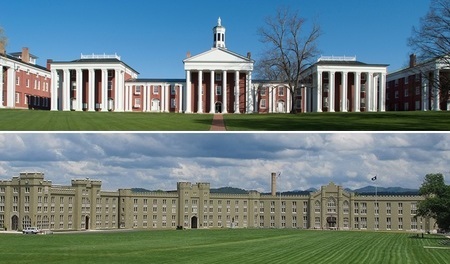 The Spring 2018 Meeting of the MD-DC-VA section of the MAA was be held at Washington and Lee University and Virginia Military Institute on April 13-14, 2018. On Friday, Michael Starbird of the University of Texas at Austin ran a workshop Inquiry Based Learning: Math and Beyond and Jason Rosenhouse of James Madison University gave the banquet address, Why Mathematicians Can't Write. The Saturday morning address, Effective Thinking Through Mathematics, was given by Michael Starbird, and the Saturday afternoon address, Epic Math Battles: Counting vs. Matching, was given by Jennifer Quinn of University of Washington Tacoma. Abstract: When students prove theorems or solve problems on their own and present their results to their peers, interesting things happen. Expected outcomes include students' developing problem-solving and theorem-proving skills and the ability to tell whether reasoning is correct or flawed. But beyond those mathematical skills, this type of experience frequently involves important consequences on students' self-reliance, independent thinking, and willingness to make mistakes. Biographical Sketch: Michael Starbird is a University Distinguished Teaching Professor of Mathematics at The University of Texas at Austin. He has received many teaching awards including the MAA's Haimo award. He has produced DVD courses in the Great Courses Series on calculus, statistics, probability, geometry, and the joy of thinking, and a MOOC entitled Effective Thinking Through Mathematics. His co-authored books include Inquiry Based Learning MAA textbooks and with co-author Edward Burger The Heart of Mathematics: An invitation to effective thinking and The 5 Elements of Effective Thinking. Abstract: As mathematicians, we frequently tout the beauty of our subject. We then expect students to learn from textbooks that seem specifically designed to be dull and confusing. We are in danger of thinking that textbook authors must truly hate their subjects, to write about them with so little passion and voice. We will soberly consider, and occasionally rant angrily about, some of the problems with modern mathematical writing. Along the way we will balance the proceedings with various examples of good writing, both by and about mathematicians. 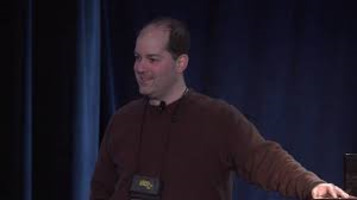 Biographical Sketch: Jason Rosenhouse is a professor of mathematics at James Madison University, specializing in algebraic graph theory. 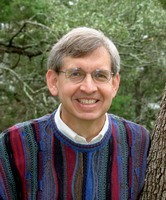 He is the author or editor of six books, including The Monty Hall Problem, Among the Creationists, and, with Jennifer Beineke, The Mathematics of Various Entertaining Subjects, Volumes 1 and 2. His book Taking Sudoku Seriously, coauthored with Laura Taalman, won the 2012 Prose Award for the best popular math or science book, from the American Association of Publishers. When not doing math, he enjoys chess, cooking, and reading locked room mysteries. Abstract: A wondrously romantic belief is that brilliant thinkers magically produce brilliant ideas: an apple knocks out Newton and calculus appears in a fevered dream. We can enjoy fanciful fables of leaps of genius, but we should not be fooled into believing that those fables are fact. Straightforward practices of effective thinking inevitably lead to better lives for us all and occasional works called genius. No magic and no leaps are involved. Techniques of effective thinking and creativity can be taught, learned, and mastered; and mathematics provides a wonderful vehicle to convey life-changing habits of mind. Abstract: Which technique is mathematically superior? The audience will judge of this tongue-in-cheek combinatorial competition between the mathematical techniques of counting and matching. Be prepared to explore positive and alternating sums involving binomial coefficients, Fibonacci numbers, and other beautiful combinatorial quantities. How are the terms in each sum concretely interpreted? What is being counted? What is being matched? Which is superior? You decide. Biographical Sketch: Jennifer Quinn is a professor of mathematics at the University of Washington Tacoma. She earned her BA, MS, and PhD from Williams College, the University of Illinois at Chicago, and the University of Wisconsin, respectively. She has held many positions of national leadership in mathematics including Executive Director of the Association for Women in Mathematics, co-editor of Math Horizons, and Second Vice President of the MAA. She is currently the Officer-at-Large on the MAA Board of Directors and the chair of its Council on Publications and Communications. She received a Haimo Award for Distinguished College or University Teaching and a Beckenbach Book award for Proofs That Really Count: The Art of Combinatorial Proof, co-authored with Arthur Benjamin. As a combinatorial scholar, Jenny thinks that beautiful proofs are as much art as science. Simplicity, elegance, transparency, and fun should be the driving principles. This site was developed so that it looks best when using a medium resolution monitor (approximately 1200 X 1000). On monitors with smaller resolution the site may appear large and when using a high resolution monitor the site may be too small, or at least be difficult to read. On many browsers pressing the Control and + keys simultaneously will increase the viewing size and pressing the Control and - keys simultaneously will decrease the viewing size.